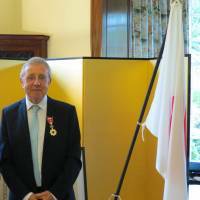 The 2018 recipients of the Order of the Rising Sun honor were announced in spring of this year. 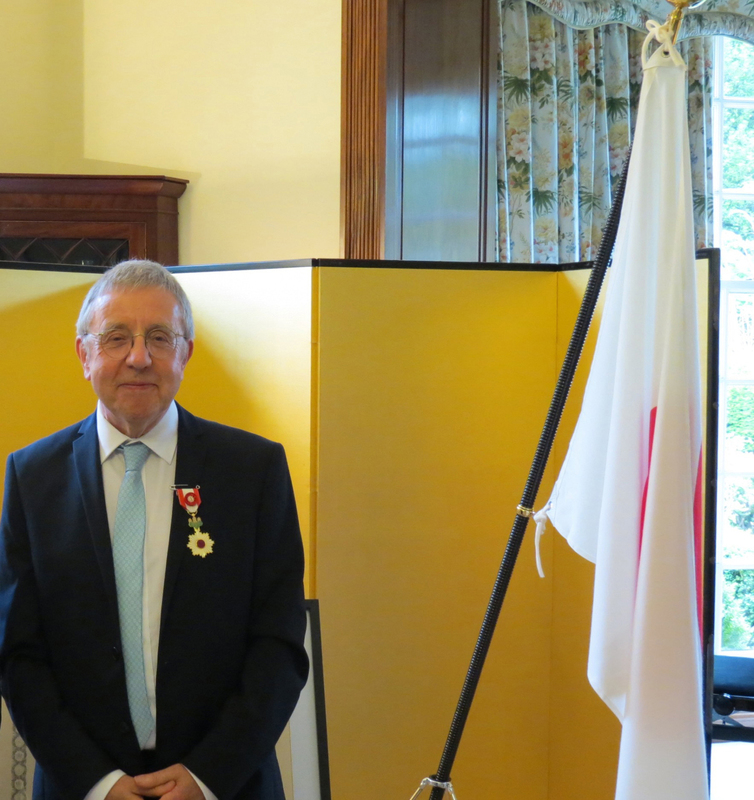 Alongside headline-grabbing winners such as former U.S. Secretary of State Madeleine Albright and Nobel laureate Kazuo Ishiguro, haiku poet and novelist Alan Spence was honored for “contributions to developing haiku poetry in the United Kingdom and promoting mutual understanding between Japan and the United Kingdom.” He received the honor in a ceremony in Edinburgh on June 29, 2018. 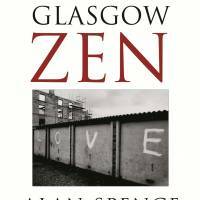 Glasgow Zen, by Alan Spence. Spence’s appreciation of Blyth also has a certain circularity to it. As well as introducing haiku poetry to English readers, Blyth moved to Japan in 1940 and was interned in Kobe during World War II. 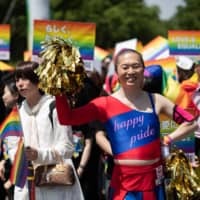 He acted as a liaison between the Occupation authorities and the Imperial household after the war and eventually became the current Emperor’s English tutor. Now, Spence is working on a novel based on the life of the author. The Blyth novel will be Spence’s third Japan-set novel, after “The Pure Land” and “Night Boat” (2013), a fictionalized account of Hakuin (1685-1768), an Edo Period (1603-1868) Zen master. He has also published two other novels, two collections of short stories and a number of plays and, in 2017, was named the Edinburgh Makar (The Scottish poet laureate). But for all his success, he still has the drive to explore new avenues. One is to see “The Pure Land” make it to the big screen. “It was originally going to be a film before it became a novel,” says Spence. “I wrote a screenplay and it made some headway toward being made and then suddenly everyone was getting cold feet. Word filtered through that the bloody ‘Last Samurai’ (2003) was in production. 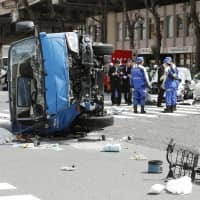 Given the popularity of NHK’s “Massan,” the 15 years that have elapsed since “The Last Samurai” hit the theaters, and the enduring legacy of Glover, particularly as a draw for tourists, a film or TV adaptation of Spence’s novel seems a no-brainer. Perhaps the Order of the Rising Sun honor will spur one of the streaming giants, such as Netflix or Amazon, into action. 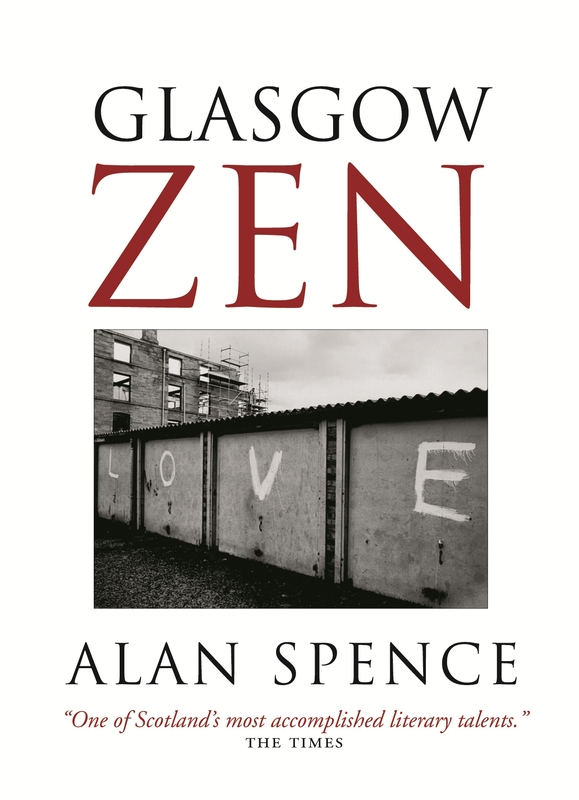 Spence is a regular visitor to Japan, both to research his books and to practice meditation, but unfortunately the award won’t be another excuse to visit the country.